I don’t have celiac disease; I’m not even gluten-free, but I do notice how I feel after a carb-y gluten-filled meal. I feel full, too full: bloated, crampy, and water-retentive. The more conscious you are of what you eat, the more acutely you can feel the differences of the food choices you make. As a teacher, I’m packing a lunch every day. Like many others who bring their lunches to work, I am constantly struggling to find quick, healthy lunch ideas that won’t take me hours to make. The sandwich. A classic staple of the common lunchbox. One piece of white bread has about 120 calories and 23g of Carbohydrates, not to mention being filled with chemicals and bleaches to give your bread that ‘clean, white’ look. And that’s just one piece; it takes two to make a sandwich! “But I eat whole wheat bread,” you scream. Well, the outlook is only marginally better at 69 calories and 12g of Carbs. For two pieces, this still means you’re eating 138 calories before you but anything in your sandwich! Now I’m not to count calories, I like to take more of a holistic health approach, but the reality is, most of the ingredients in commercial bread are pure garbage. 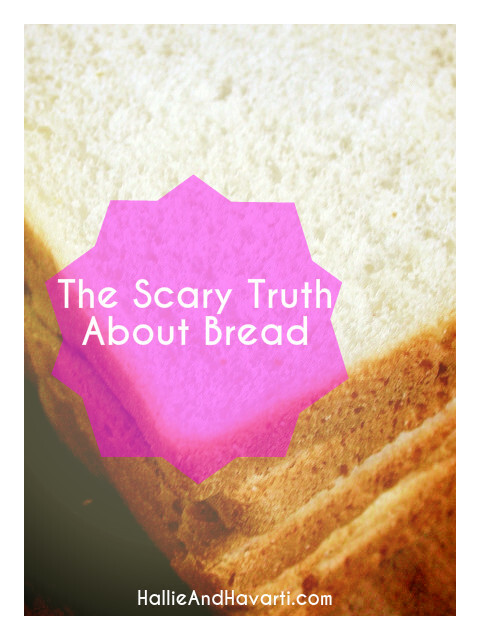 Real bread only needs four ingredients: flour, water, yeast, and salt. I dare you to count the ingredients on a package of commercial bread. You can’t even judge bread by its color anymore; some manufacturers are using caramel coloring to make their product like a healthier ‘brown bread.’ Yuck. There’s always gluten-free, organic type breads, but in my opinion they leave much to be desired. Instead, I’ve said goodbye to bread altogether and started using a new solution to fill my lunches, and my belly! Click here to find out my bread-free lunch solution!